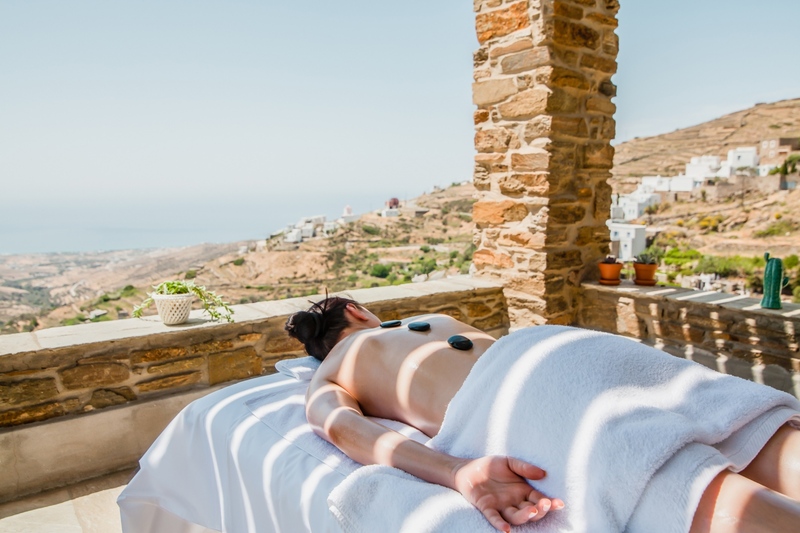 You can select your very own luxurious Cycladic villa for a truly relaxing getaway and an unforgettable holiday experience. 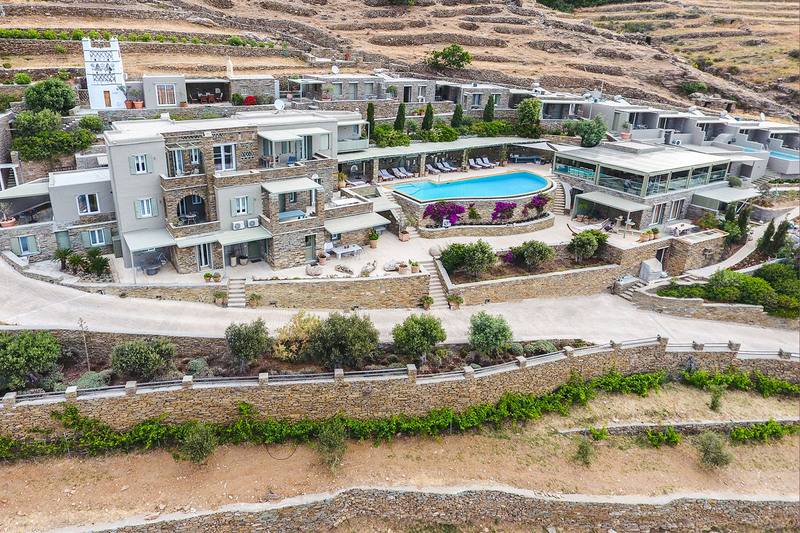 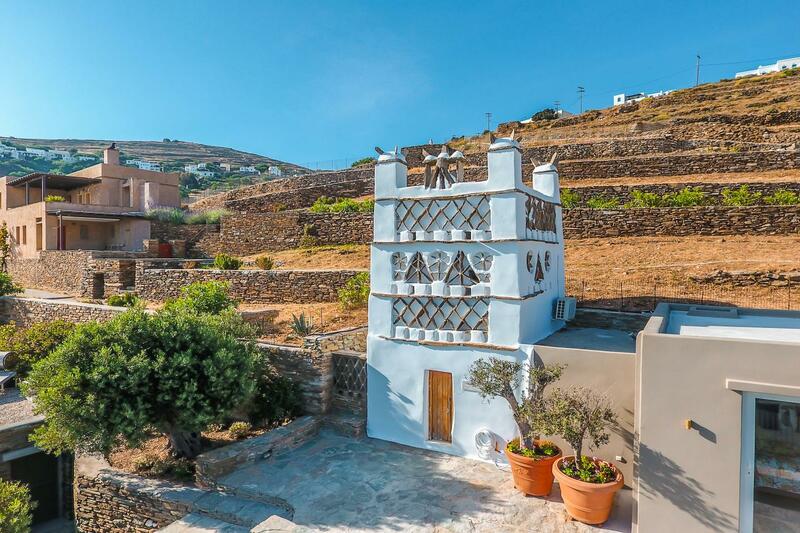 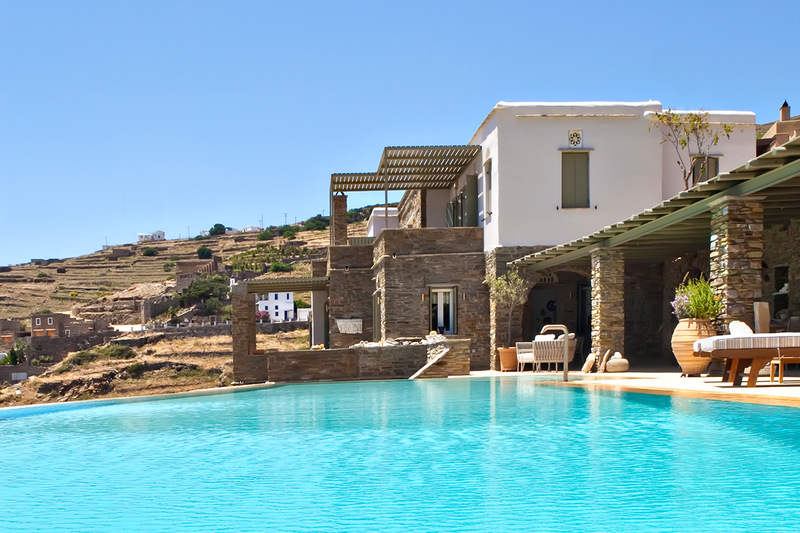 Nested in 30 acres of olive groves and fragrant vineyards surrounded by a whispering stream, each private villa has a dominant view, not just to the incredible Aegean blue sea, but also to the nearby Cyclades. 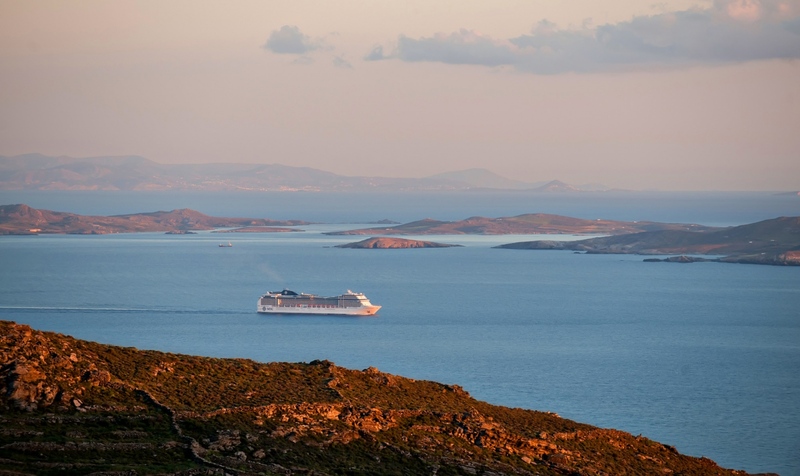 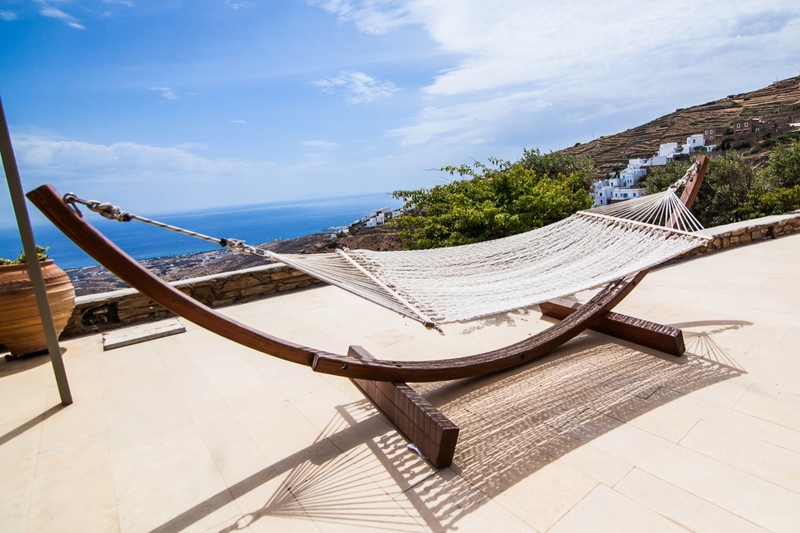 Enjoy your remarkably beautiful Cycladic holidays in the company of the cool and rejuvenating sea breeze. 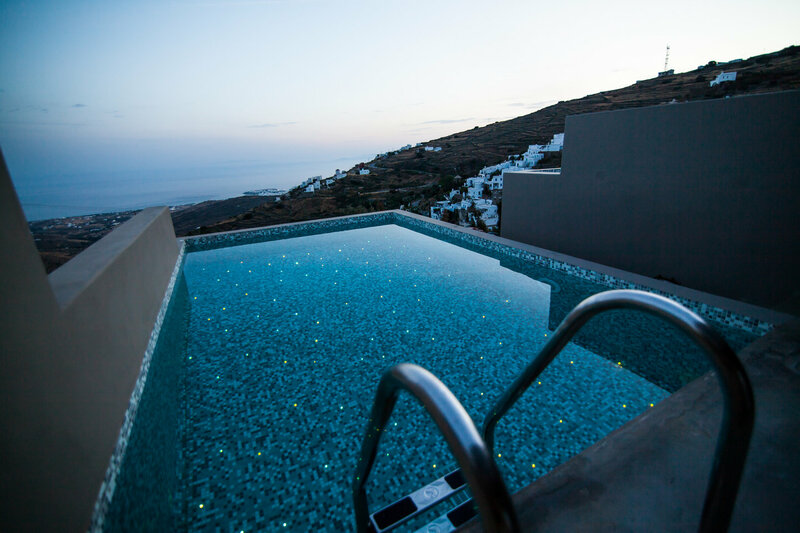 Aeolis Tinos Suites is here to accommodate and welcome you! 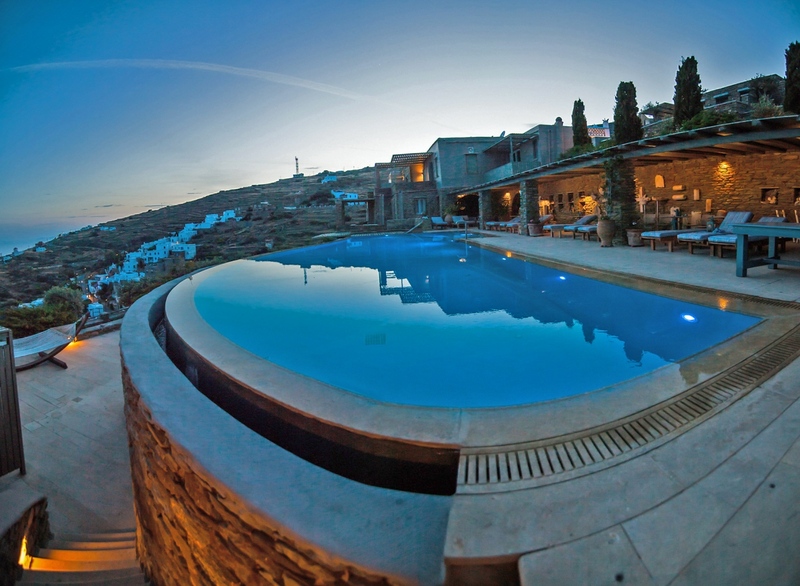 Enjoy your meal at Zoga Restaurant with the unique view of the Cyclades. 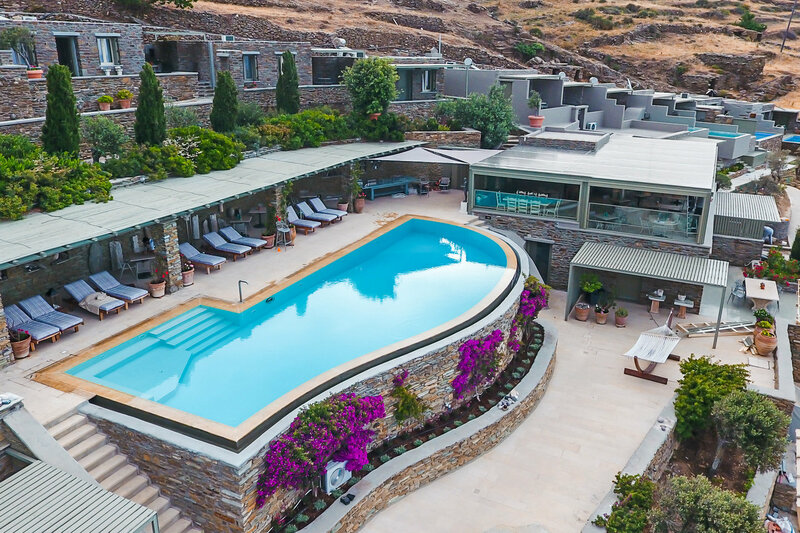 The menu has been created by two renowned Greek chefs with their inspired culinary suggestions and final touches. 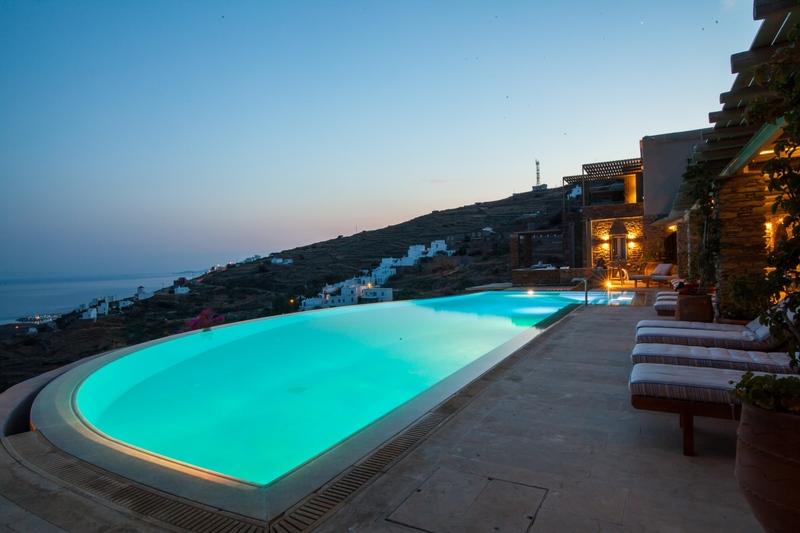 At Zoga’s, you will enjoy well-cooked fresh fish accompanied with delicious appetizers, crisp chilled salads, along with a finely selected choice of meat dishes.